In my days working as archivist for the Boynton Beach City Library, every once in a while I’d get a phone call from an enthusiastic caller who thought they discovered a rare image of Boynton Beach. I adore finding new (old) images of Boynton Beach, so you can imagine my excitement as I anticipated this revealing, deeper glimpse into the faded history of our fair city. 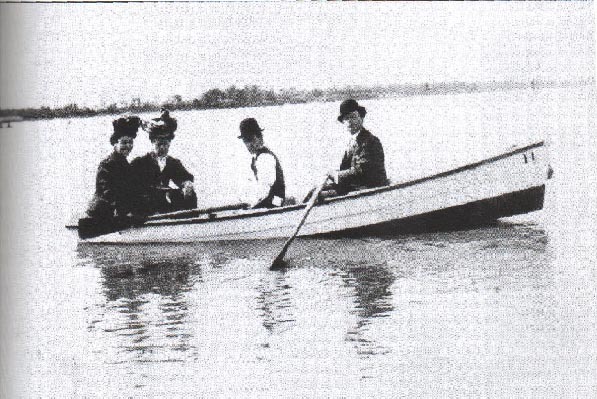 A group of young people enjoying the time at the shore. Envision my disappointment, and theirs, when I scrutinized the photograph and determined it was not Boynton Beach, Florida. How did I know the images were not Boynton Beach? Well, the trees weren’t right (we had pines and palms). 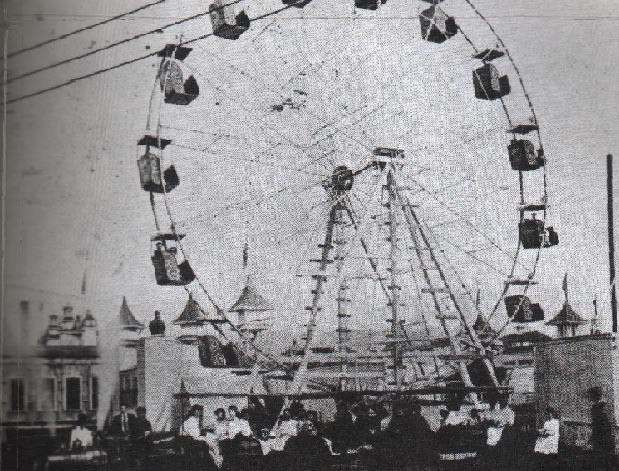 The big Ferris Wheel and merry-go-round, while resplendent for their time, weren’t representative of our Boynton Beach. 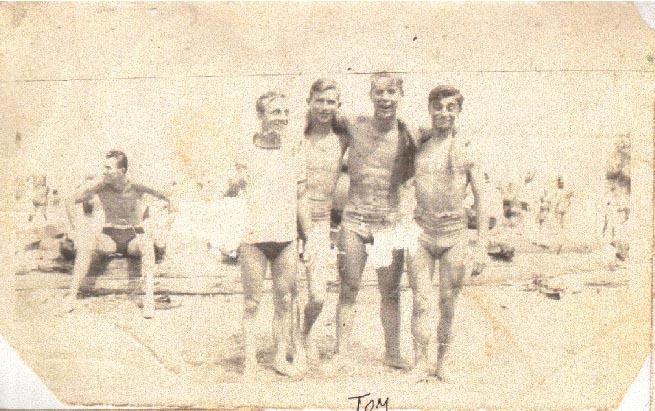 Beach-goers flocked to the New Jersey shore in the summer-time. 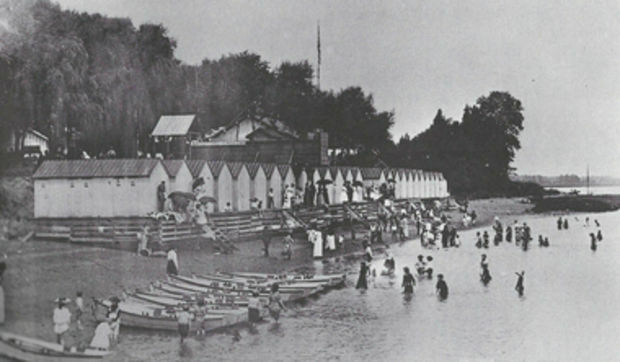 The other Boynton Beach, in this case, was a New Jersey waterfront resort established by another Boynton, Cassimer Whitman Boynton, a native of Maine. It was located in Woodbridge Township near Perth Amboy. There are many similarities and even more differences in Boynton Beach, New Jersey and Boynton Beach, Florida. Similarities between Boynton Beach, New Jersey (also known as Sewaren) and the Boynton Beach Hotel in Florida. Differences between Boynton Beach, New Jersey (also known as Sewaren) and the Boynton Beach Hotel in Florida (established by Major Nathan Smith Boynton of Port Huron, Michigan). 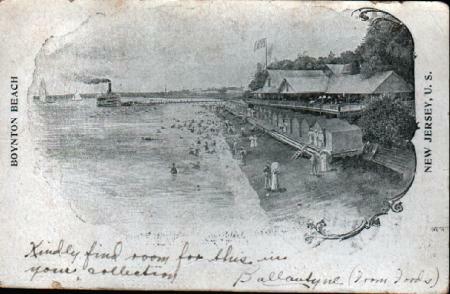 This undivided back postcard shows the bathing beach and bath houses. 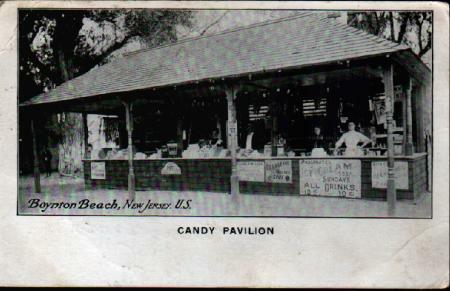 The Boynton Beach in New Jersey offered amusement rides, a Nickelodeon, photographic booths and pony rides. The Boynton Beach in Florida offered dining in the Boynton Beach Hotel dining room. Meals were included for $2.00 a day in 1898. 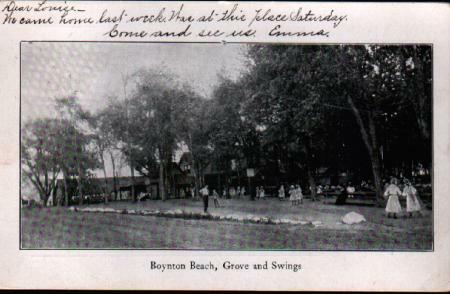 The Boynton Beach in New Jersey had a dance pavilion with live orchestra’s every Saturday in night in the summer. The Boynton Beach in New Jersey had a pier. Both of the resorts closed by 1925. The New Jersey property was sold to the Shell Oil Company. The Florida Boynton property was managed by A.E. Parker, Major Boynton’s son-in-law until 1925. The area is now known as Ocean Ridge. The faded picture postcards of both Boynton Beach resorts are the remnants of this idyllic time in history. 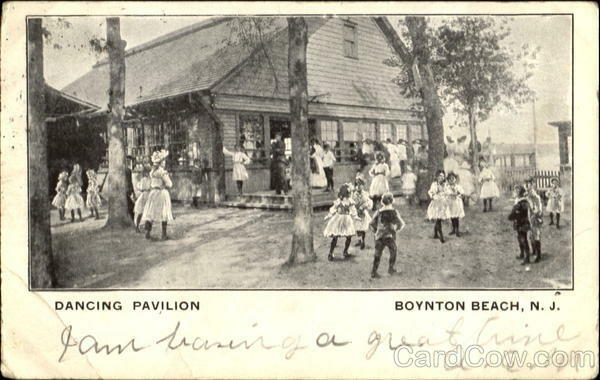 Pre- 1907 postcard of Boynton Beach New Jersey. ThatNJVideoGuy. Historical Boynton Beach. https://www.youtube.com/watch?v=VpnS1jlVxG0. Trueger, V. Sewaren’s History. (2011) Garden State Legacy. Issue 11. http://gardenstatelegacy.com/files/Sewarens_Heyday_Troeger_GSL11_PRINT.pdf.